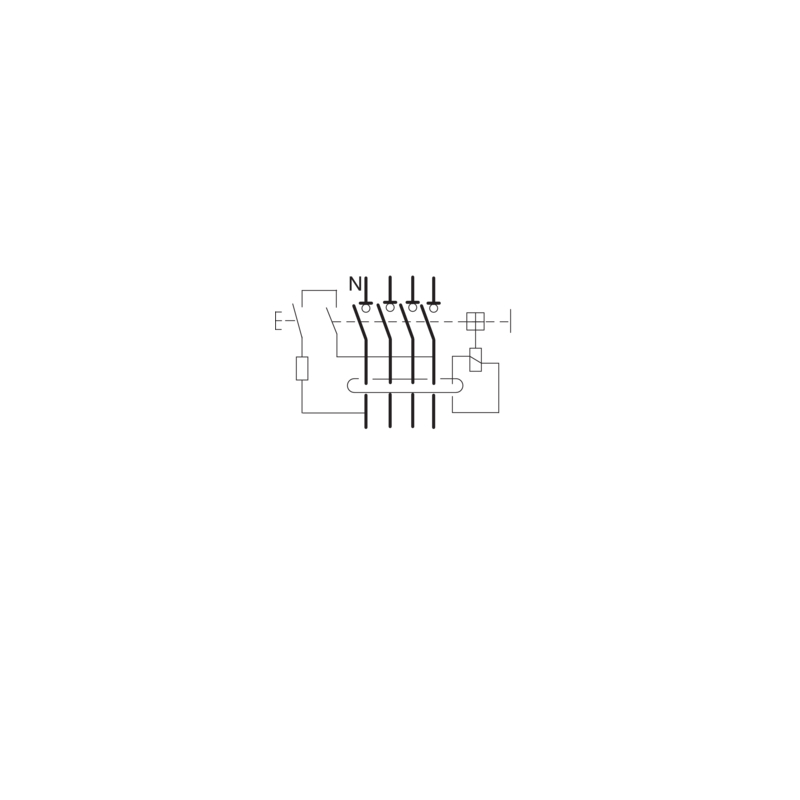 412,04 € 412,04 € tax incl. 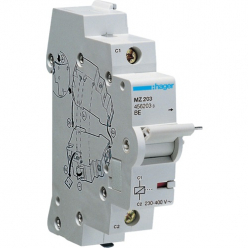 The circuit breaker HAGER CDB440F - Type B - 3P+N - 40A - 30mA is essential for any installation of charging station. 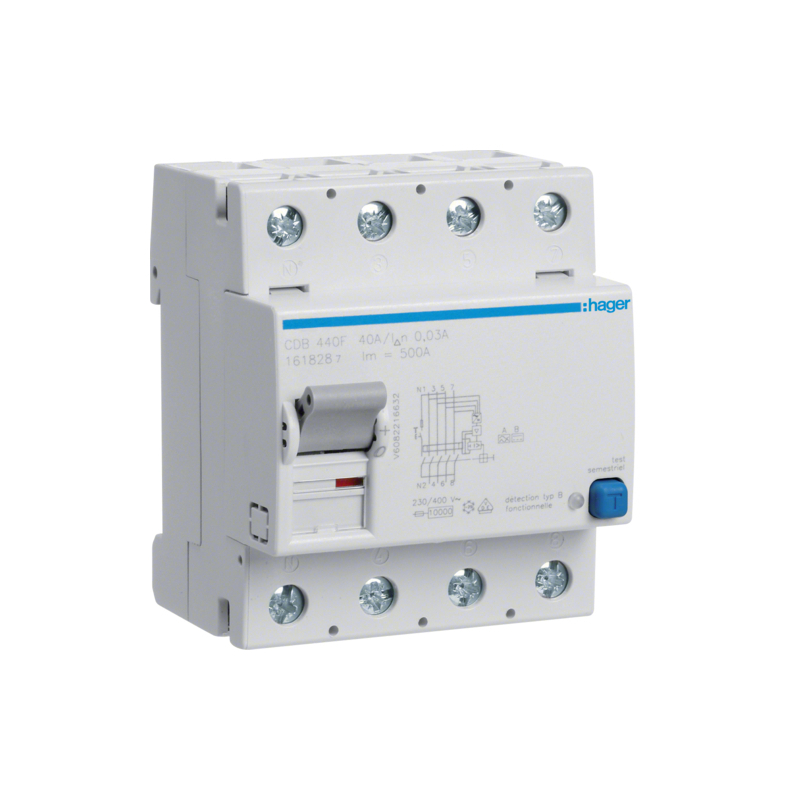 This differential CDB440F switch is compatible with all three phase charging stations of the market that have a load current between 1 and 32A, even those that are not equipped with a continuous leakage current detector DC. 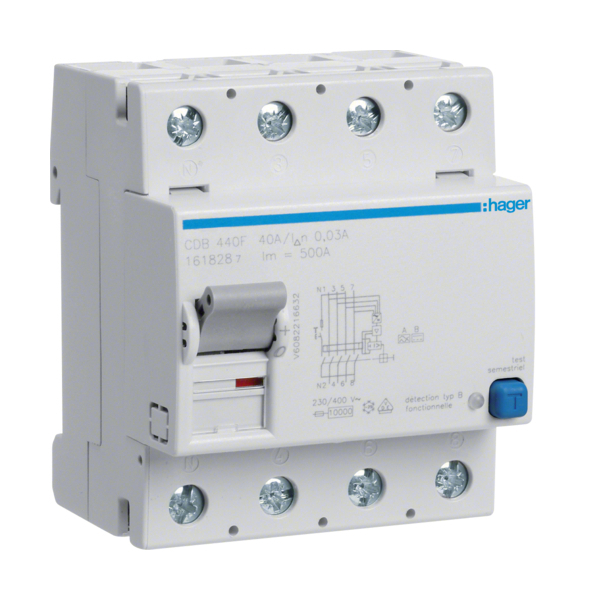 If your charging station is already equipped with a continuous leakage current detector DC, then a three-phase differential type A (eg, HAGER BDH440F ), less expensive is sufficient. It must be coupled to a circuit breaker, and is compatible with all types of circuit breakers HAGER NGN , NGT, NFT, NRN or NSN. 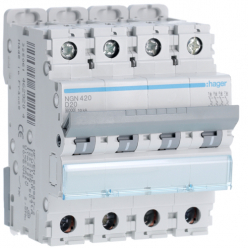 It must be associated with a type of circuit breaker HAGER NGN.